Toss won by: Islamabad United, elected to field first. Batting: Kamran Akmal 53 runs off 32 balls, Tamin Iqbal 39 off 29 balls. Bowling: Faheem Ashraf 2/37 in 4 overs, Rumman Raees 1/26 in 4 overs. Target: 177 runs from 20 overs. Batting: Faheem Ashraf 54 runs off 30 balls, SR Patel 23 runs off 24 balls. Bowling: Umaid Asif 4/23 in 4 overs, Ibtisam Sheikh 3/20 in 4 overs. 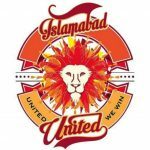 33 year old Umaid Asif ripped through United’s batting lineup and continued the successful run of fast bowlers at this year’s edition of the Pakistan Super League. He racked up two wickets each in his first two overs to remove Chadwick Walton, Luke Ronchi, Asif Ali and Iftikhar Ahmed and reduce Islamabad to 25 for 4 in just four overs. Kamran Akmal showed just how quickly a batsman’s fortune can turn around in the shorter format of the game. 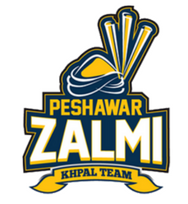 His aggressive batting at the top of the order allowed Zalmi to gather momentum and established a foothold in the contest. Akmal once again showed that, on his day, he can lead his team to victory singlehandedly. Faheem Ashraf’s innings was the only positive on what was a bad day at the office for the Islamabad outfit. Aggressive, yet composed, the youngster churned out a batting performance that further raised his already high stock in the T20 circuit. Faheem’s half century is the blueprint that Islamabad’s other batsmen need to follow if they are to be successful in this tournament. The win takes Peshawar to third on the points table, while Islamabad are on fifth, ahead of Lahore Qalandars.